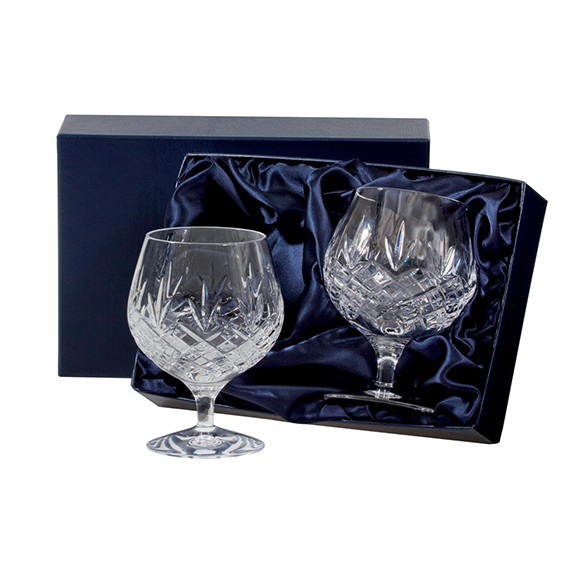 A classical hand cut wine suite inspired by the great tradition of the City of Edinburgh. A City which has created a legend out of glass for over four centuries. Supplied in luxury midnight blue presentation boxes. 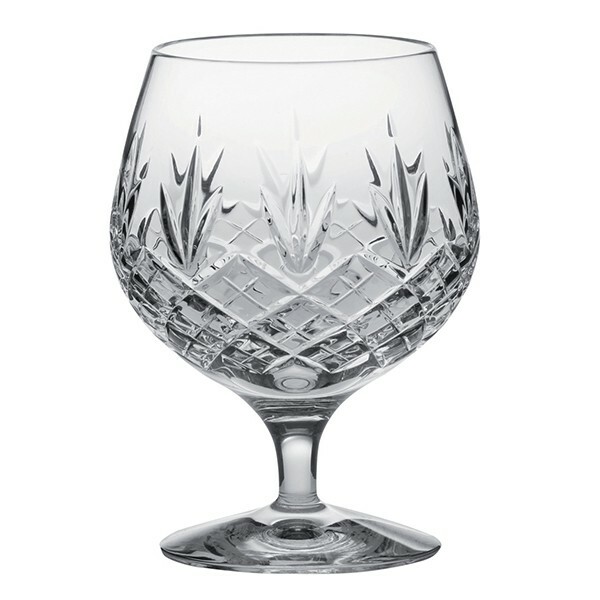 This Royal Scot Crystal Edinburgh brandy glass is perfect for drinking brandy, cognac and brandy based liqueurs. The rounded bowl sits perfectly in your hand to warm the brandy to enhance its full flavour.